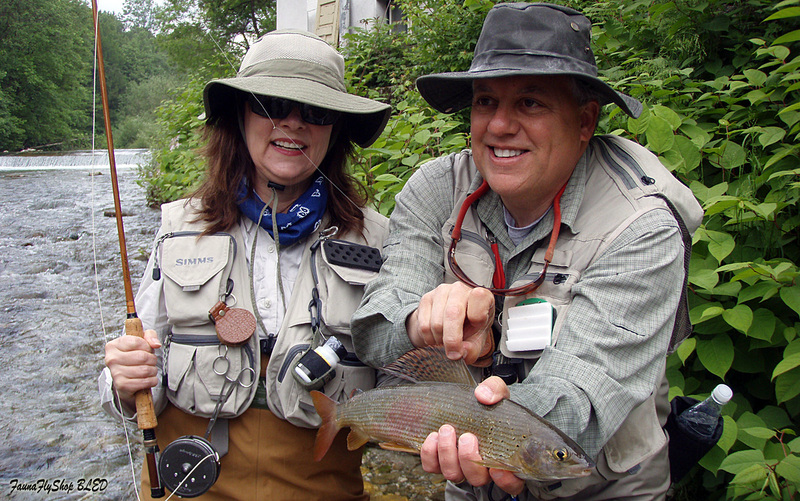 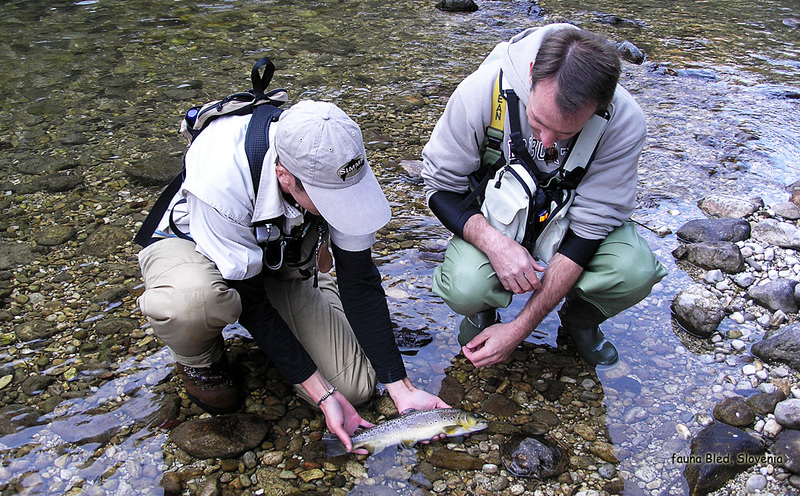 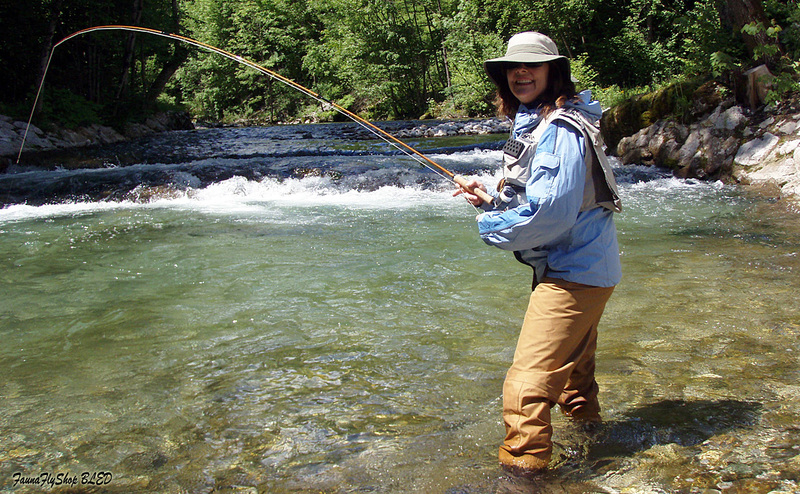 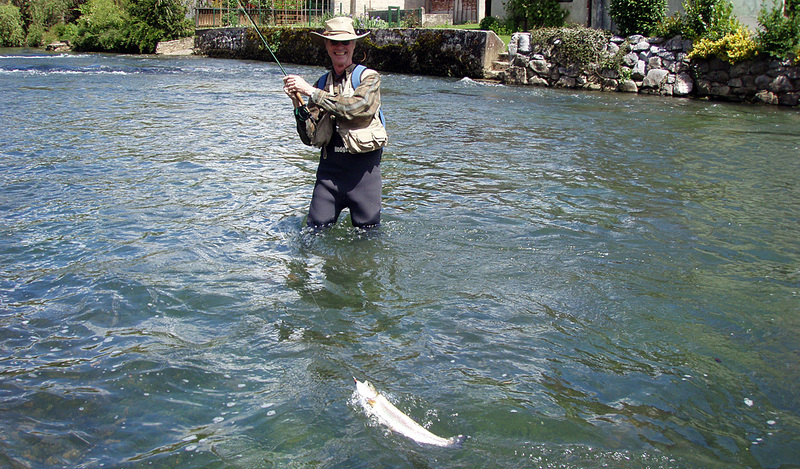 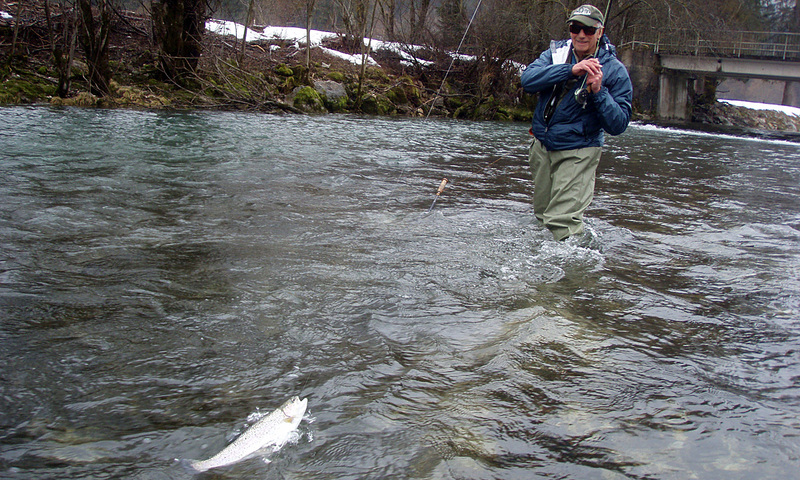 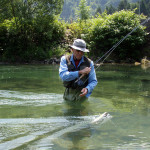 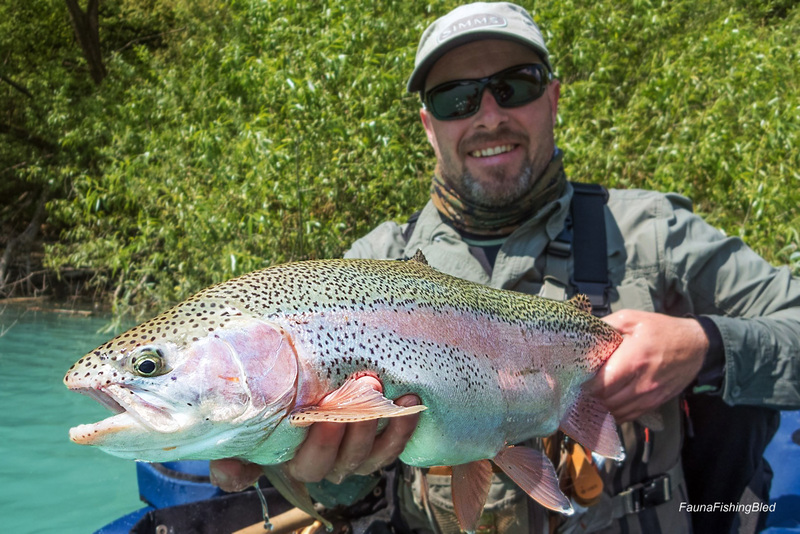 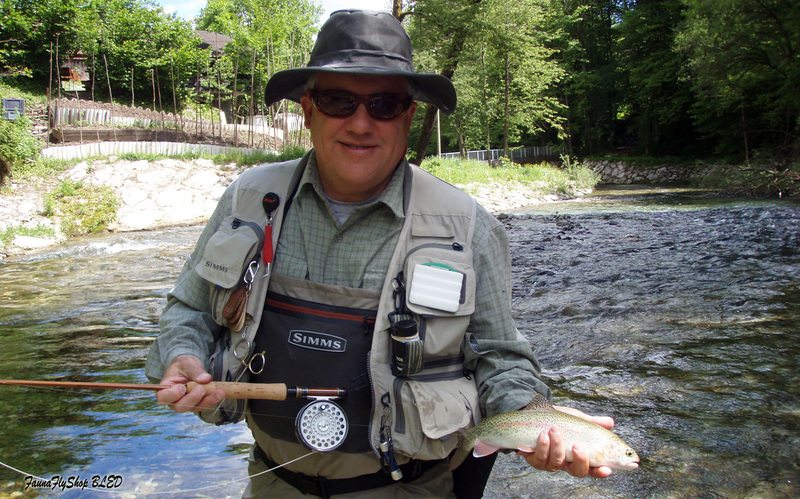 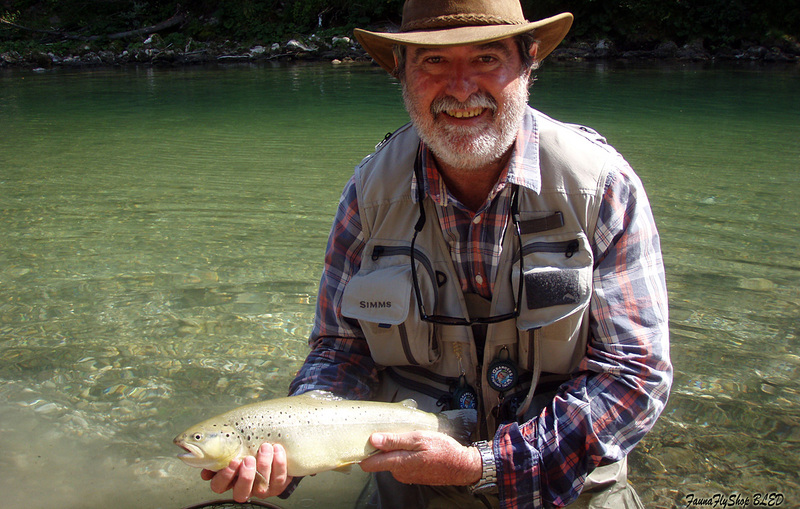 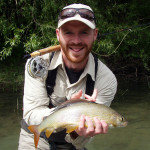 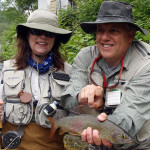 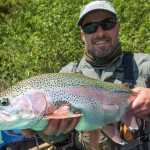 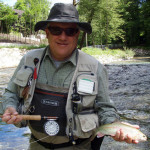 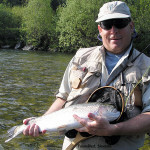 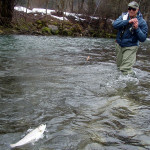 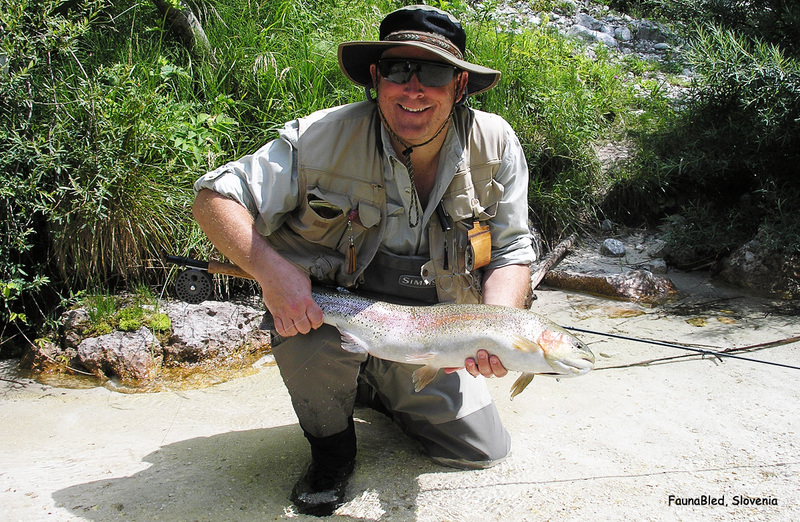 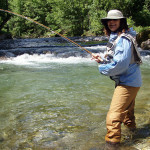 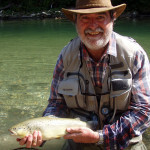 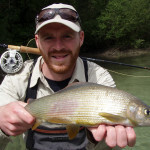 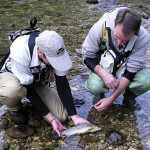 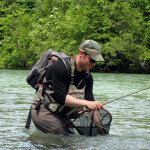 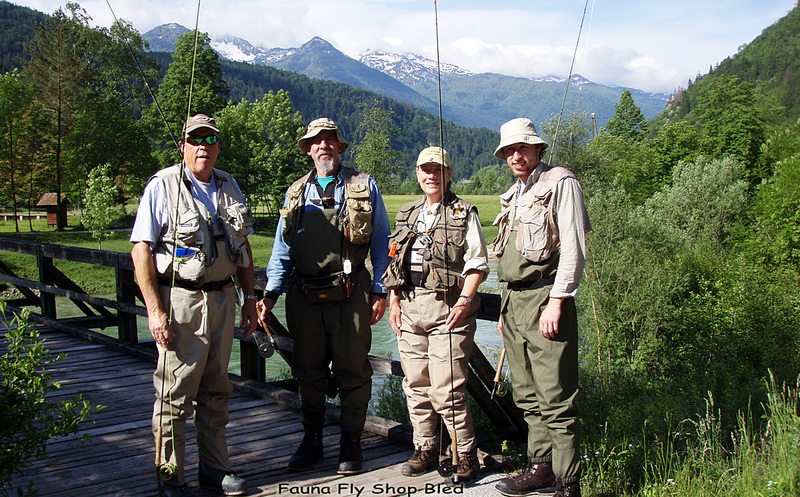 Fly Fishing Images you are about to browse, were taken either by our respected fly fishing guests, Fauna fishing Guides, or on our numerous Guided fly fishing tours. 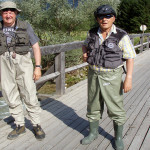 Either in pursuit for the Grayling, Brown trout, Rainbow trout, Marble trout or Hucho-huchos! 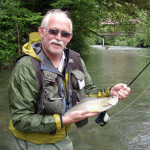 Many of our dear home page visitors will recognise themselves on those pictures! 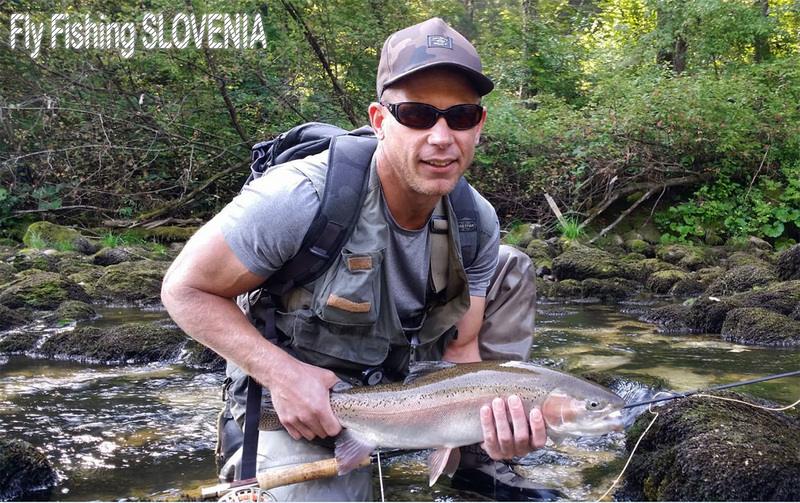 😀 Want to understand more about the flyfishing place called Slovenia, which you are about to visit!? 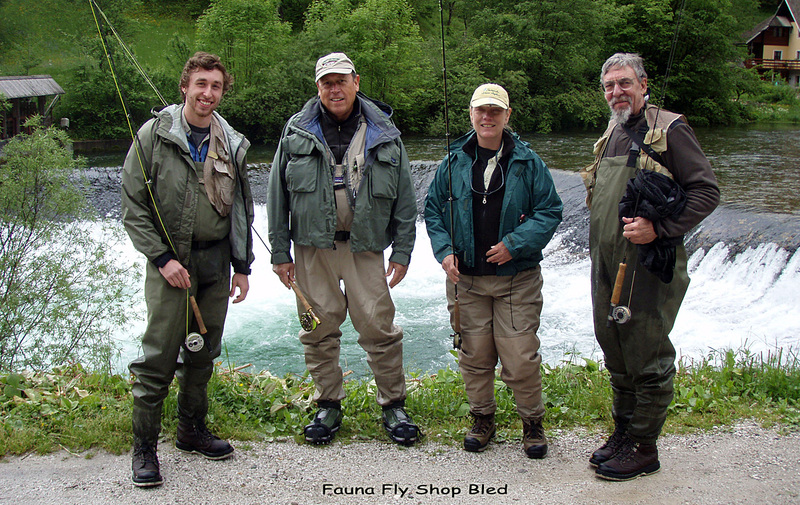 Then Fauna fly fishing gallery is the right page to stop by! 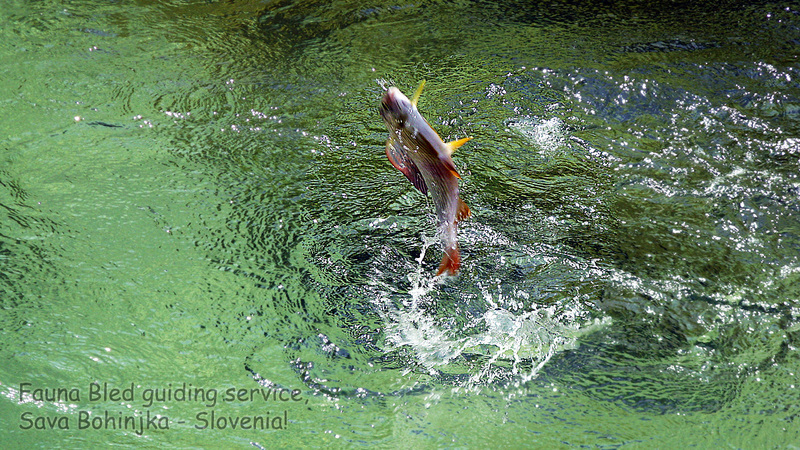 The proverb goes that a picture can tell more than a thousand words. 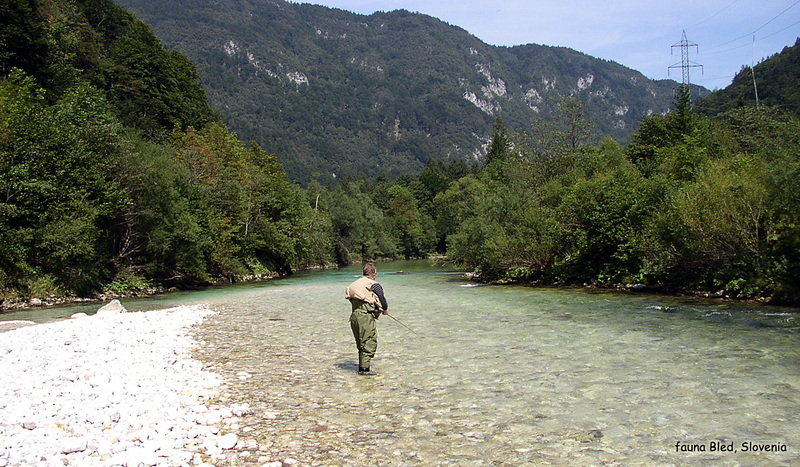 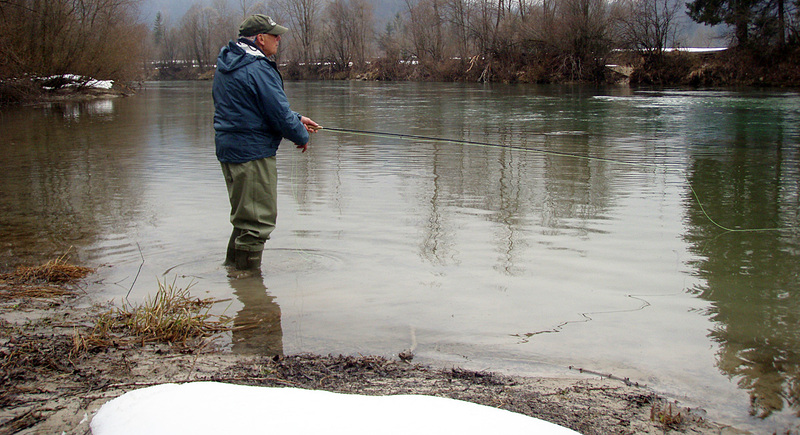 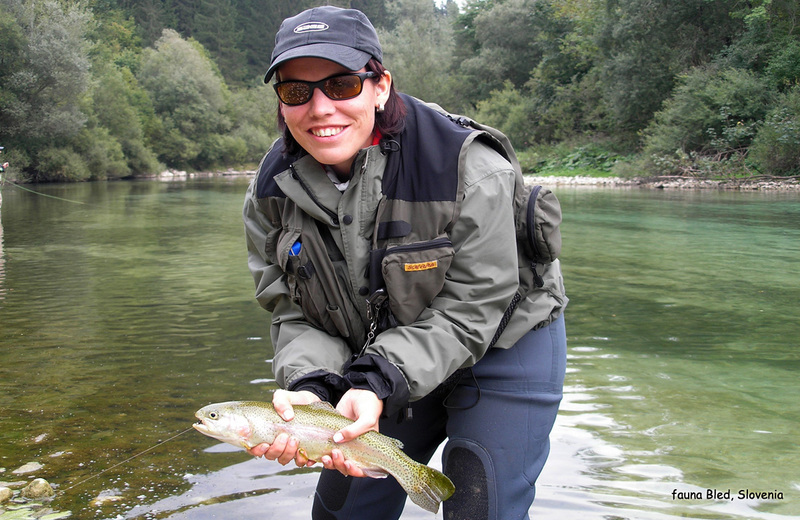 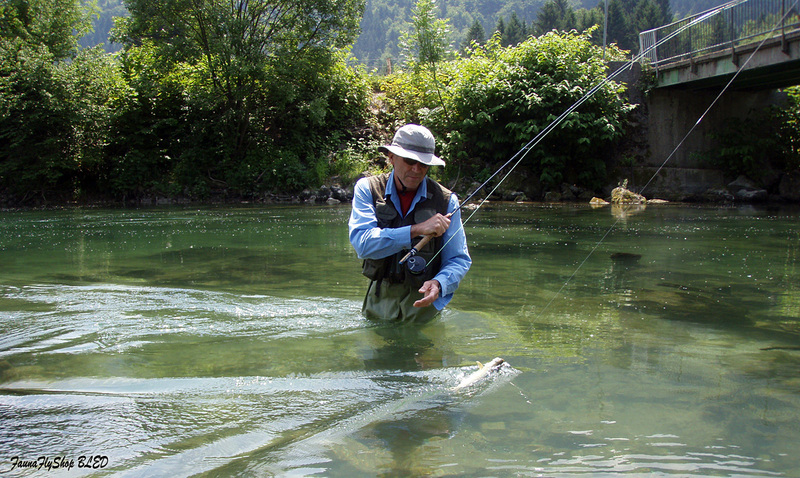 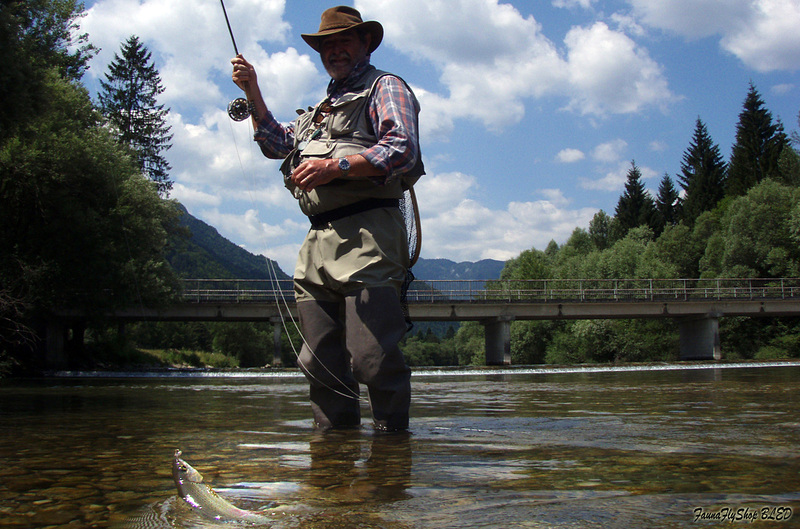 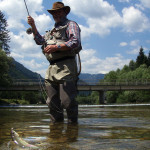 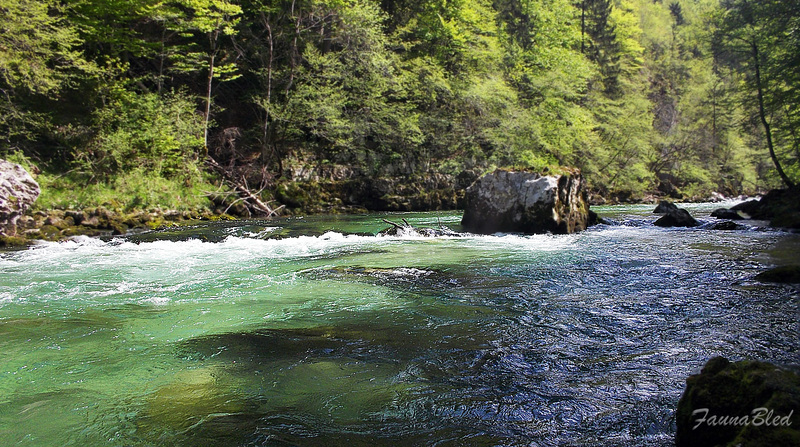 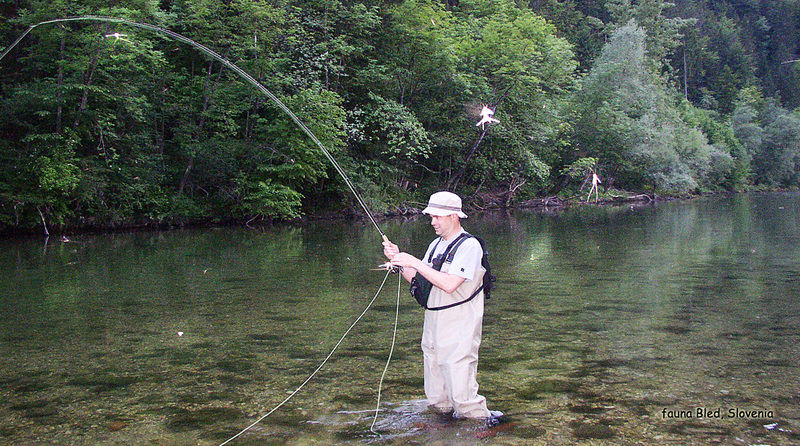 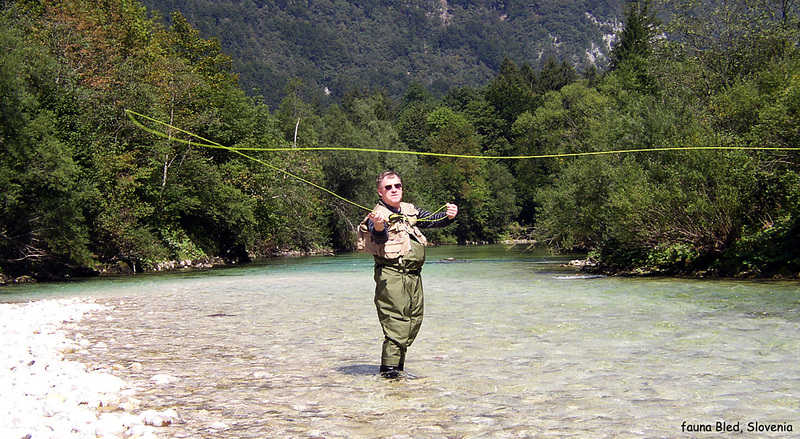 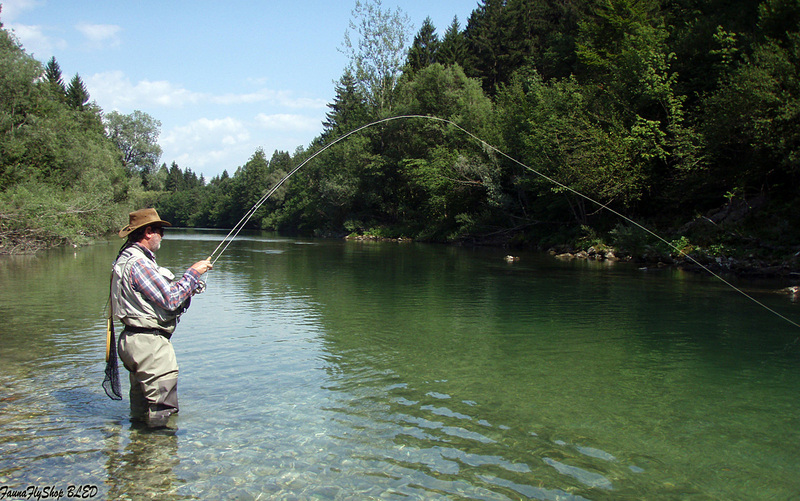 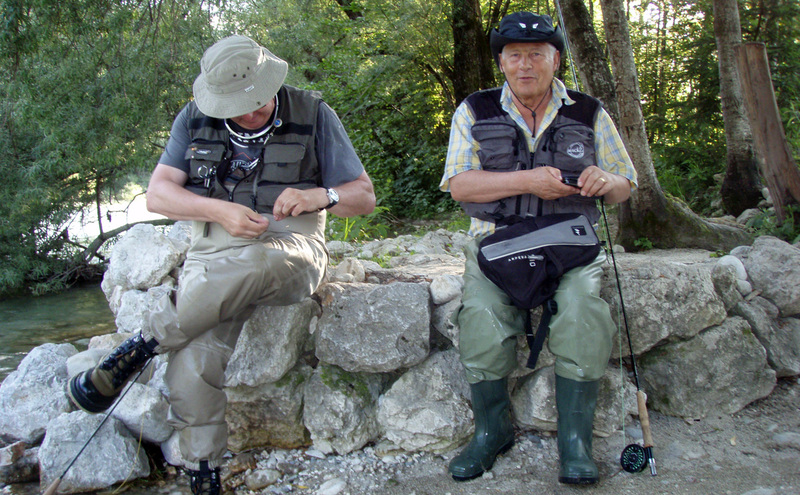 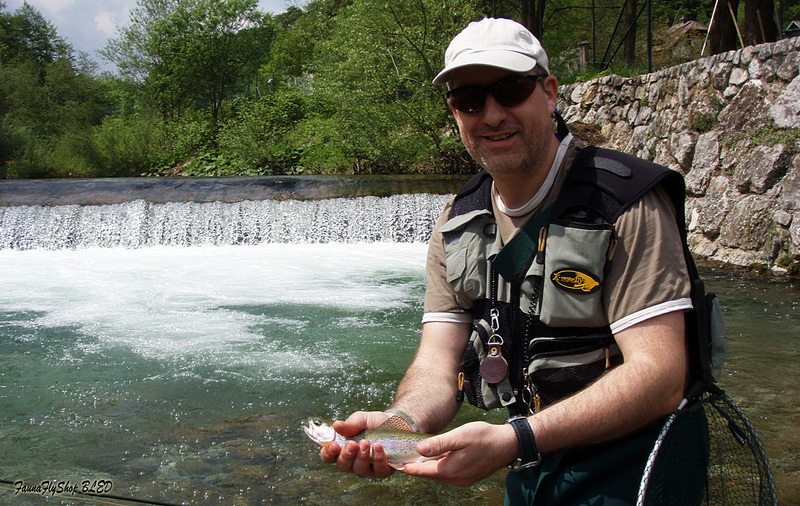 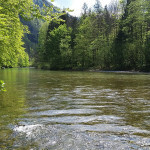 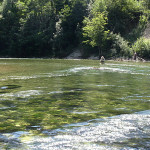 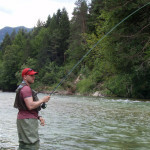 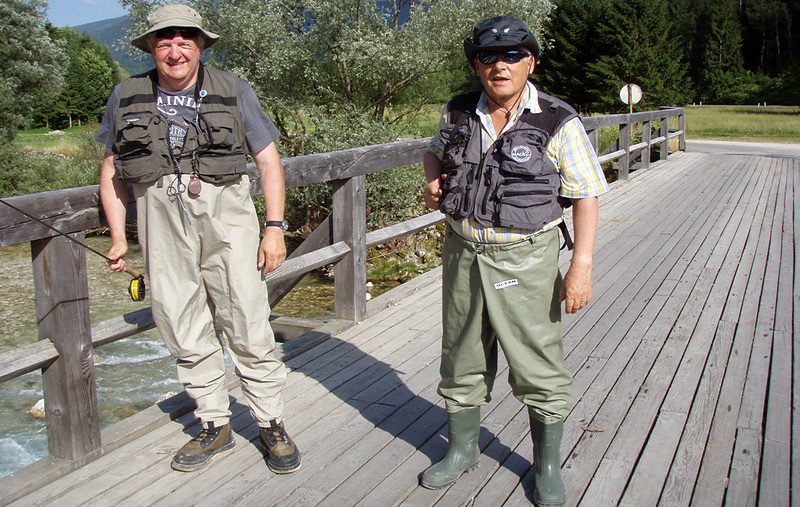 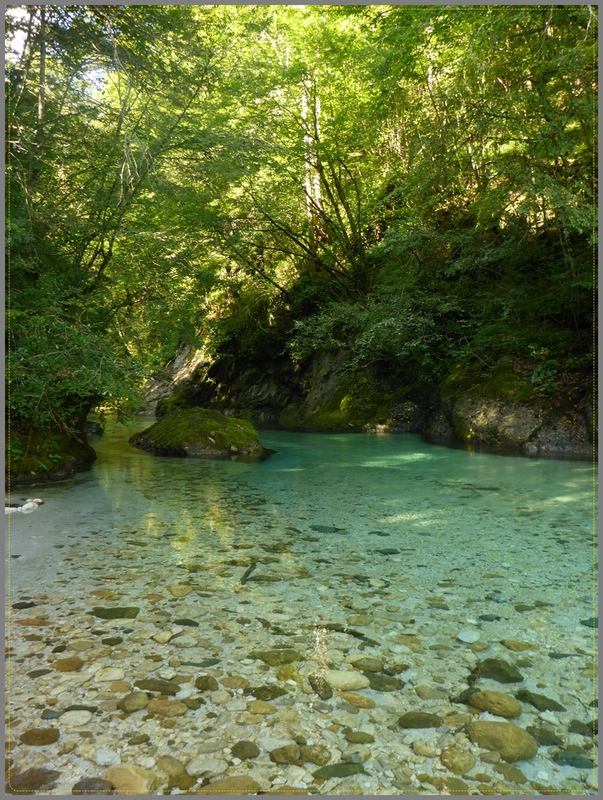 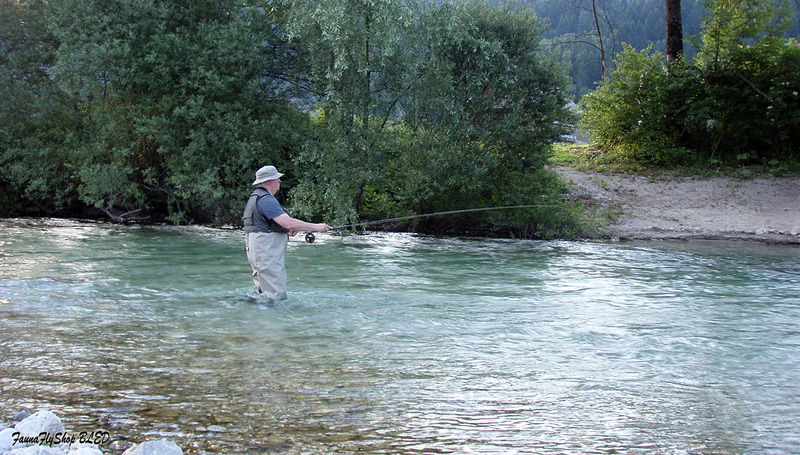 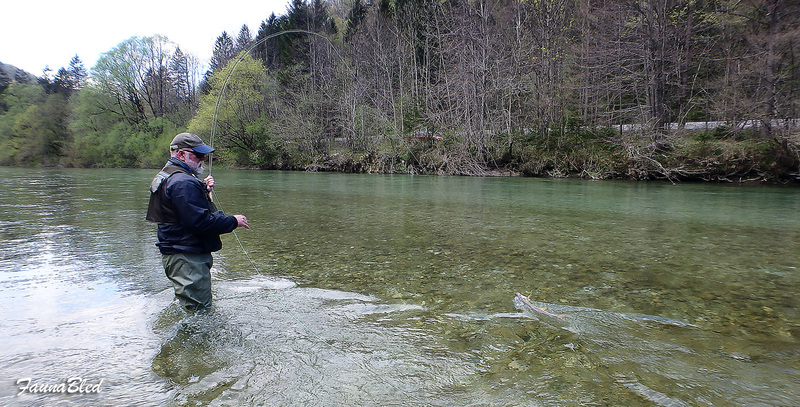 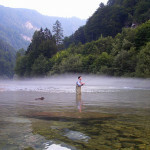 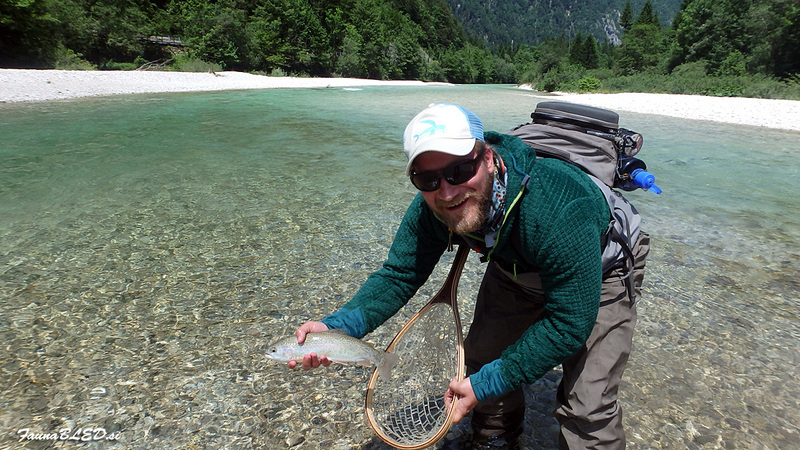 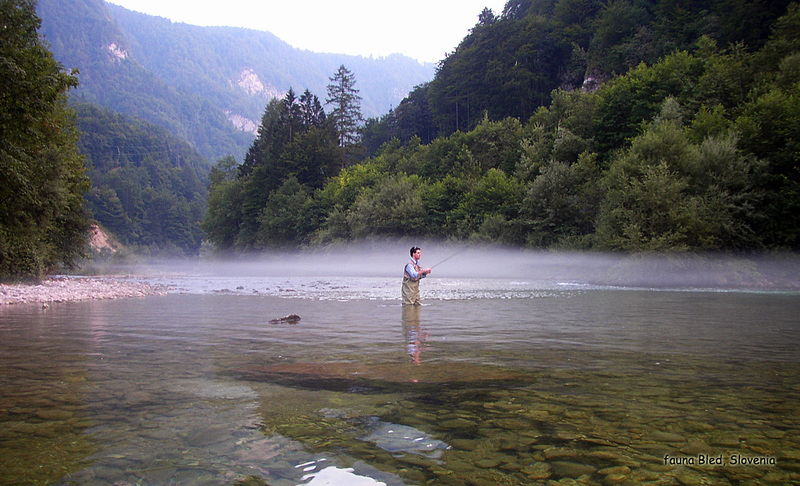 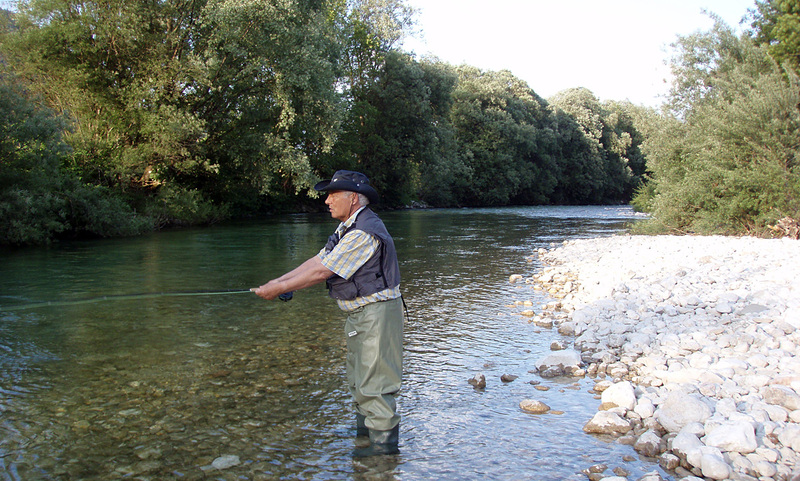 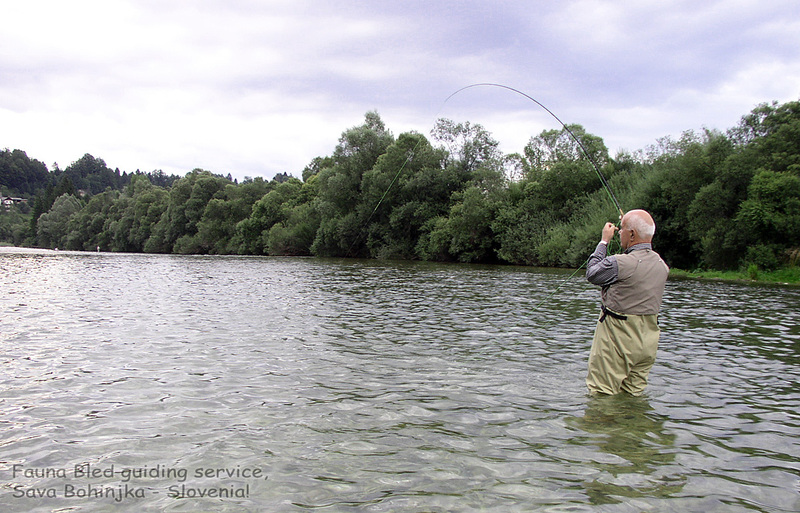 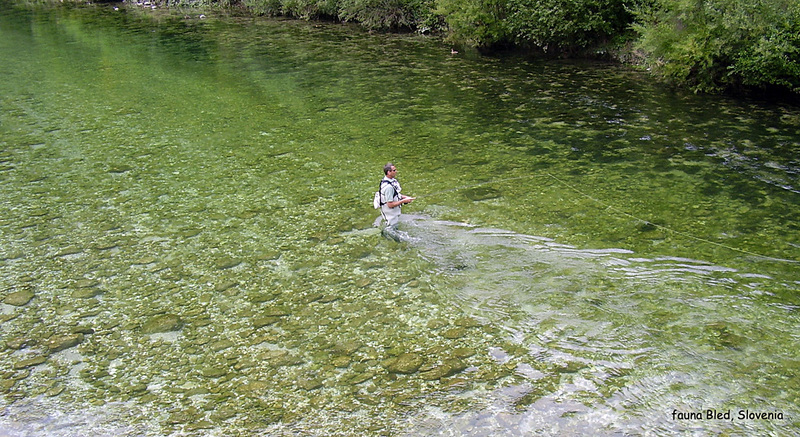 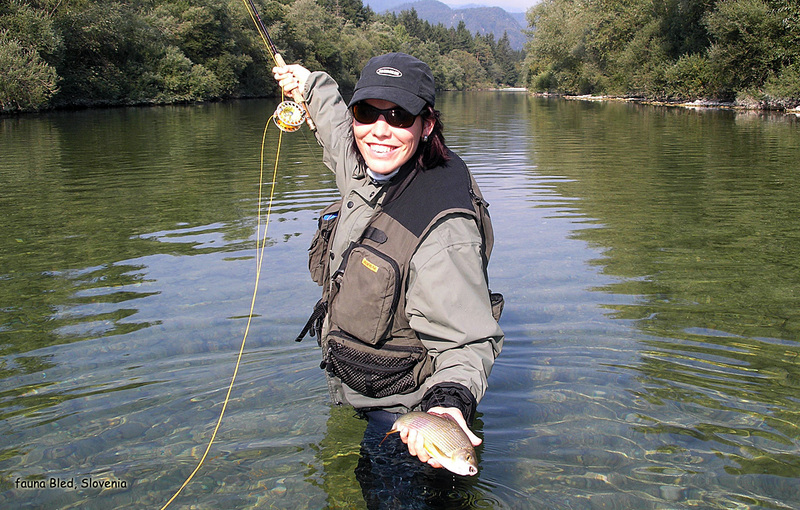 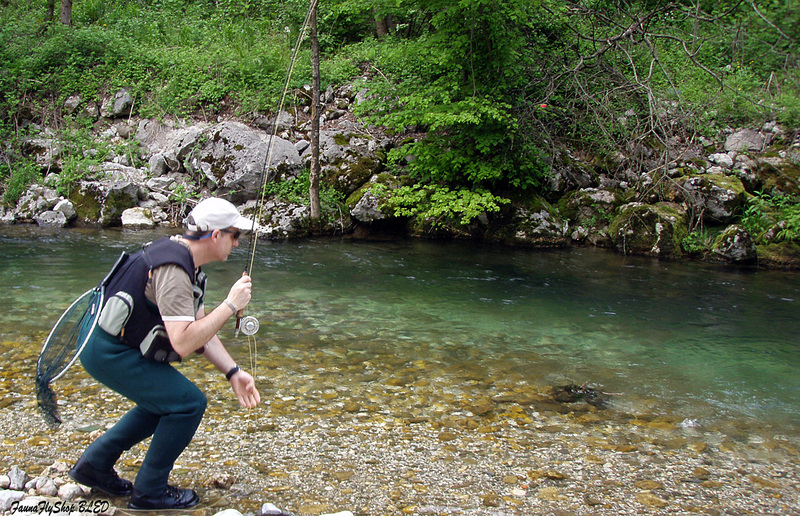 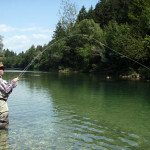 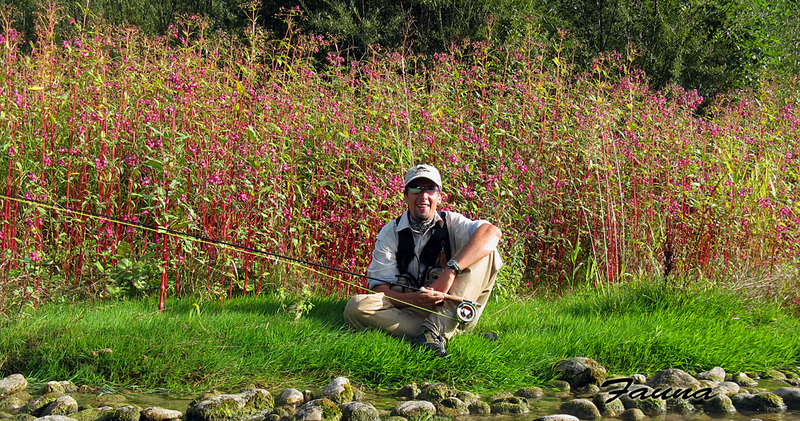 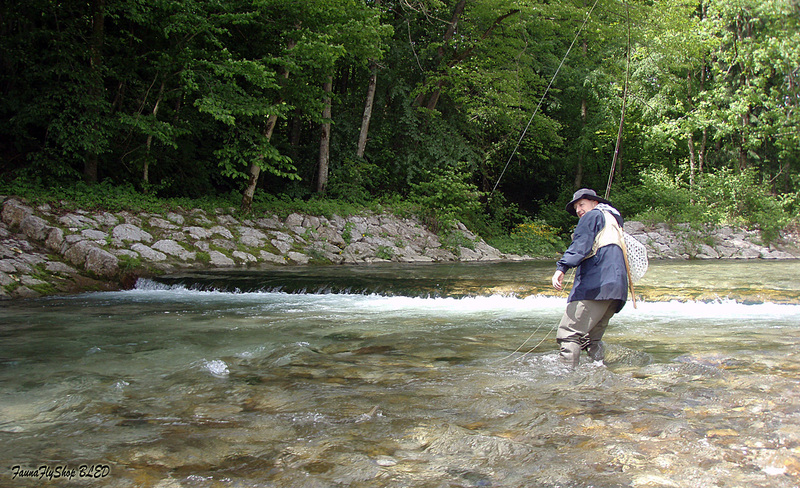 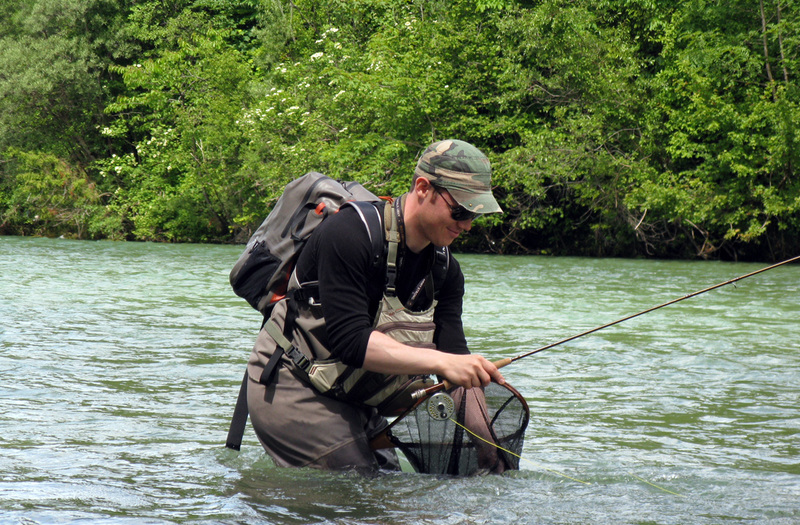 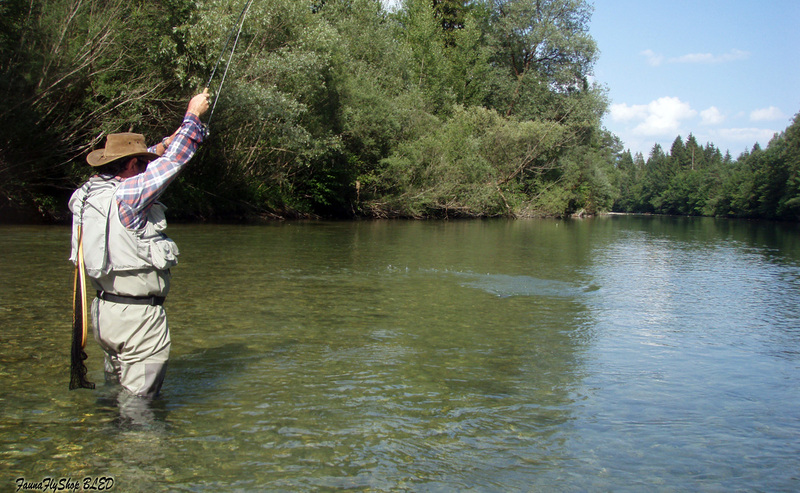 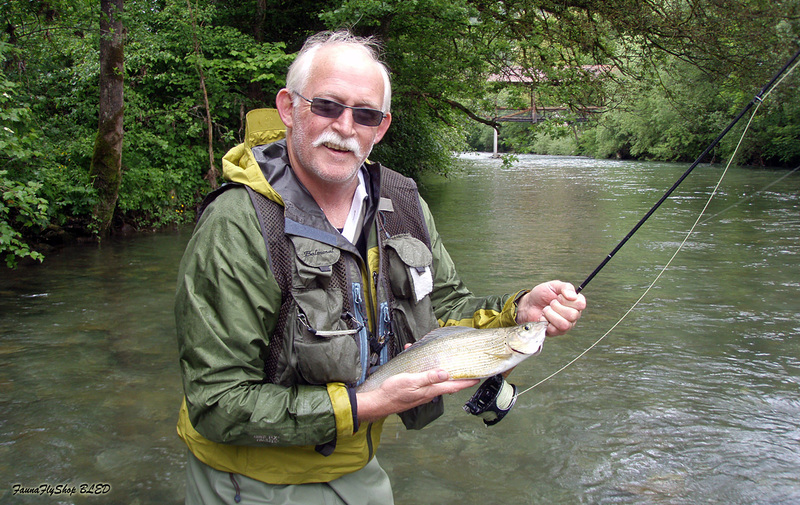 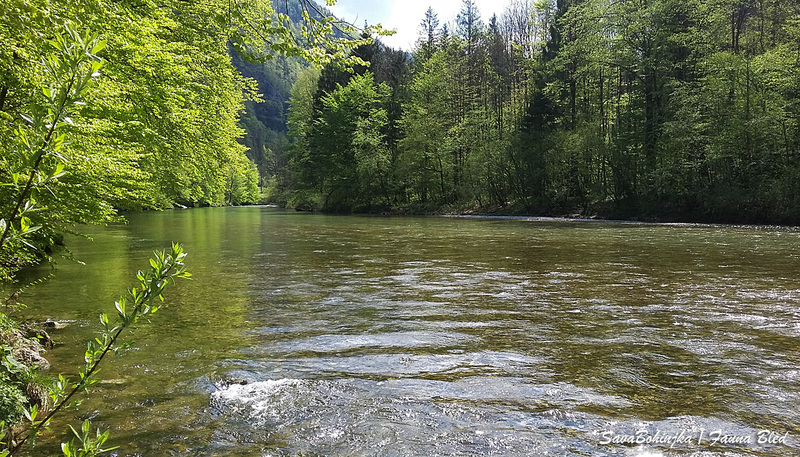 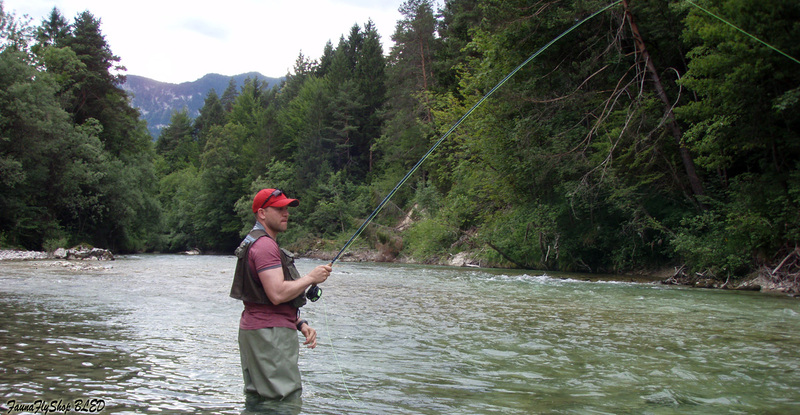 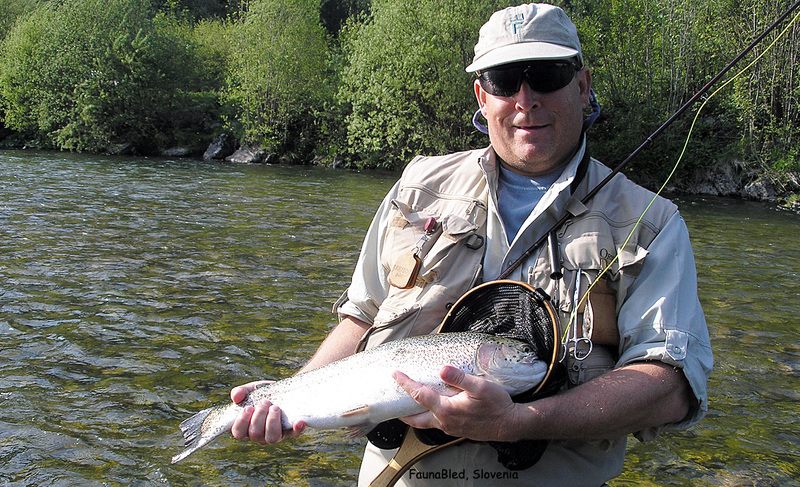 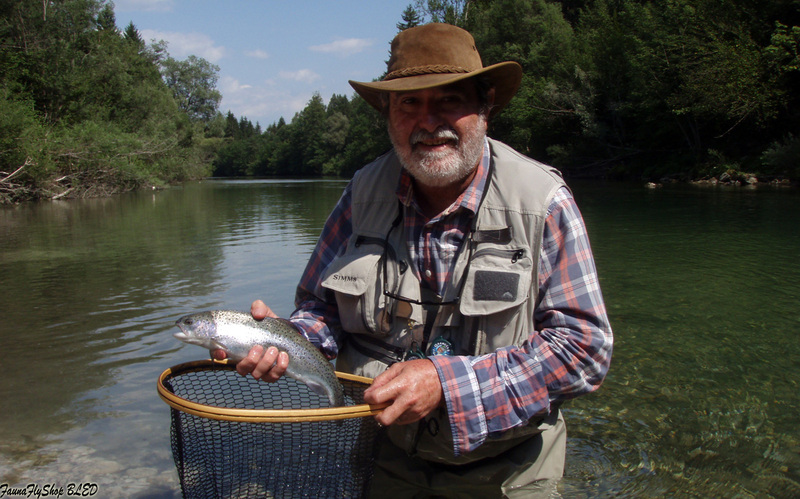 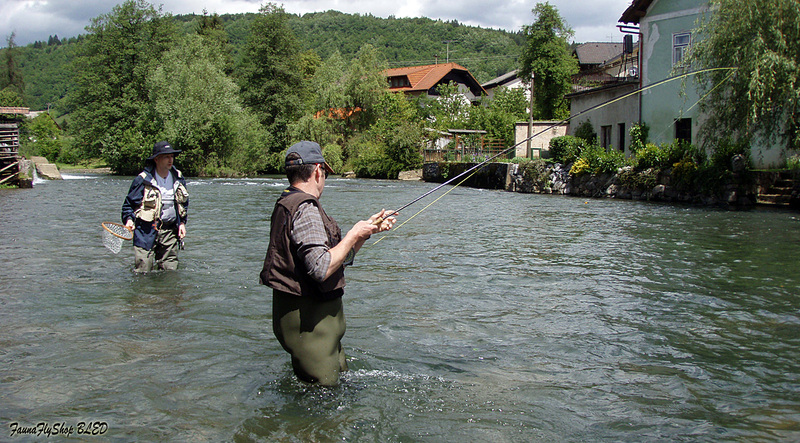 To describe fly fishing in Slovenia, it`s rivers, fish, places and people, one million words would hardly be enough! 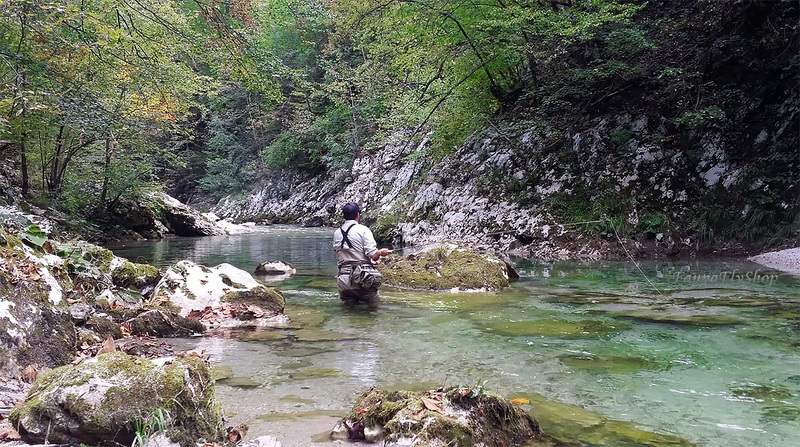 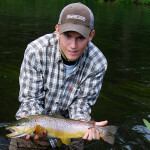 Instead of talk, we will be uploading those breath-taking fly fishing images for you to watch on a weekly basis! 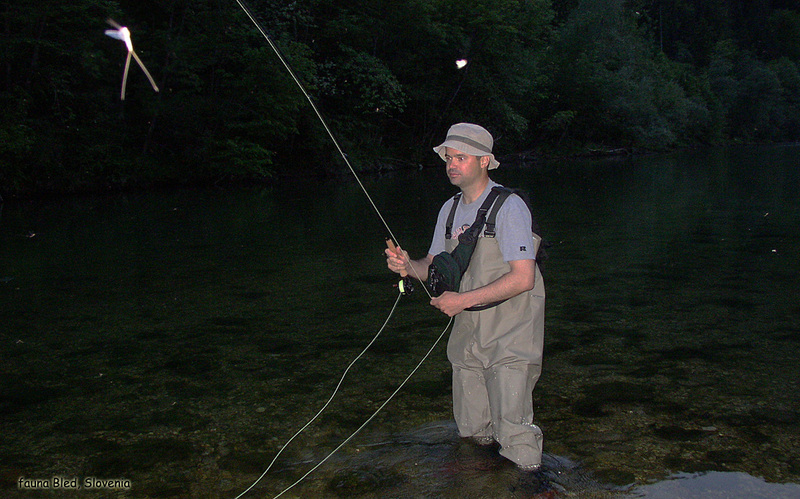 Did a particular scene triggered you a question? 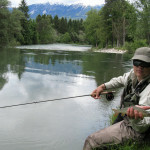 Just ask any time.. we will be glad to help you out with a prompt response! 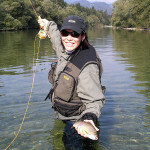 Fighting for 20 minutes before she gave in! 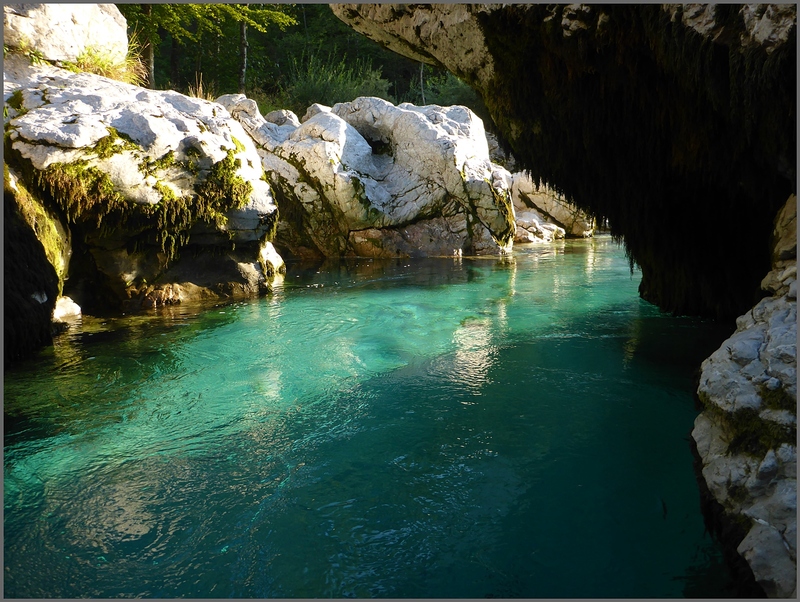 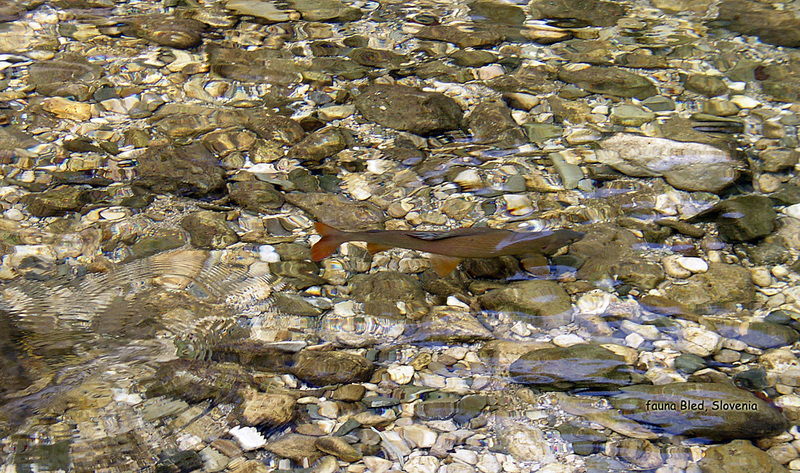 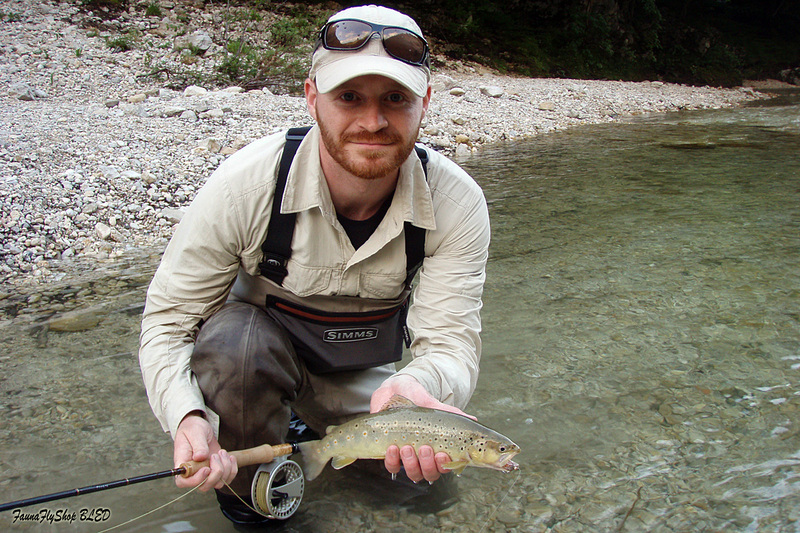 Small trout rivers of Slovenia – jewels! 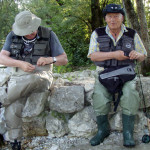 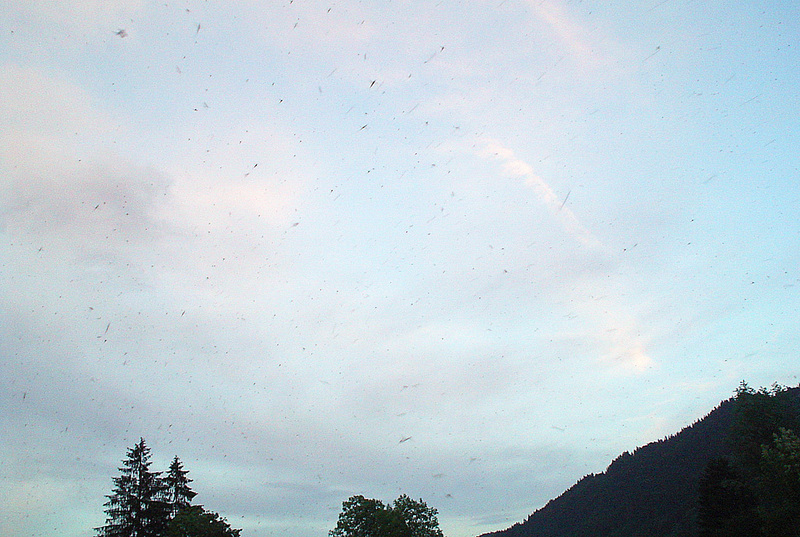 Debris along the Sava Bohinjka.. not for the heavy fly fisherman..
Ladies in fly fishing – welcome! 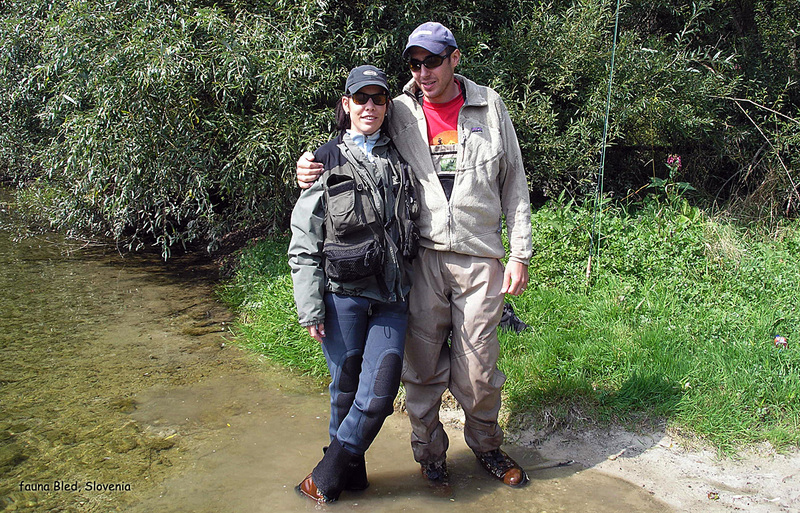 Spending honey-moon on fly fishing tour! 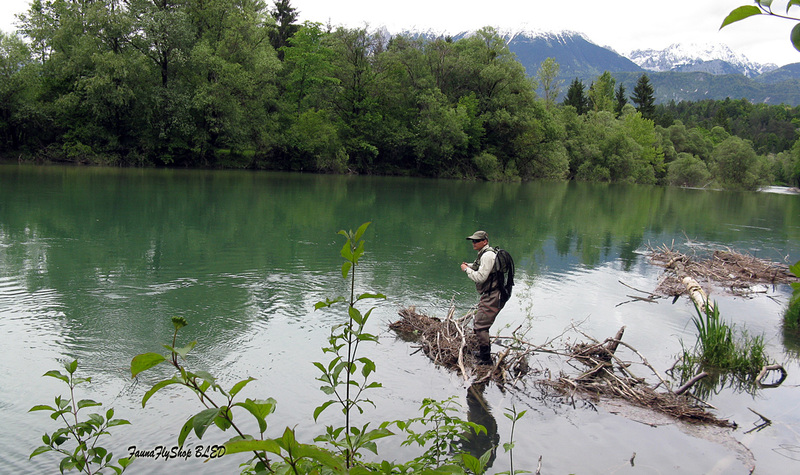 There is no such thing as a bad fishing day! 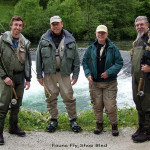 Rivers for light class fly rods! 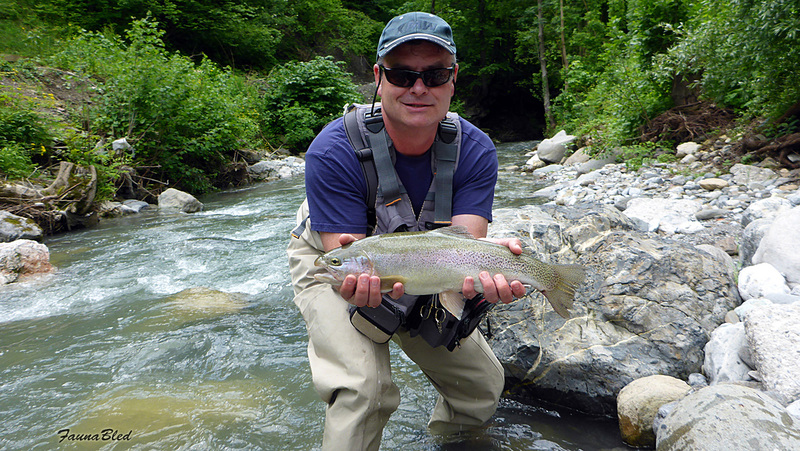 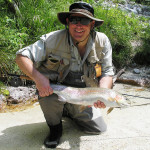 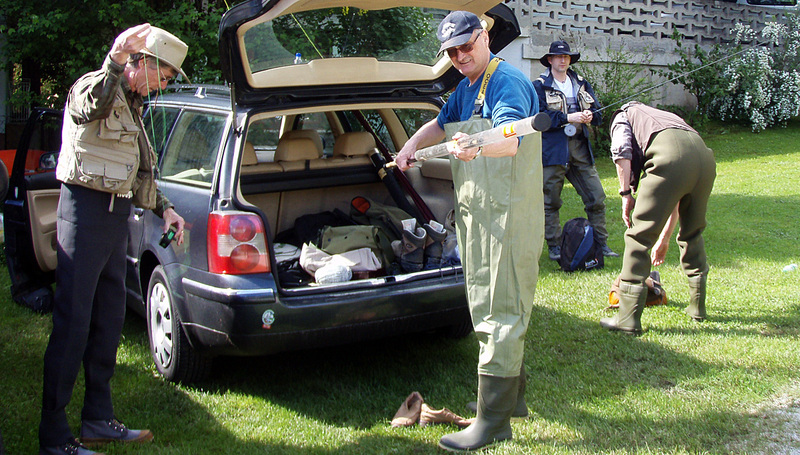 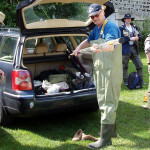 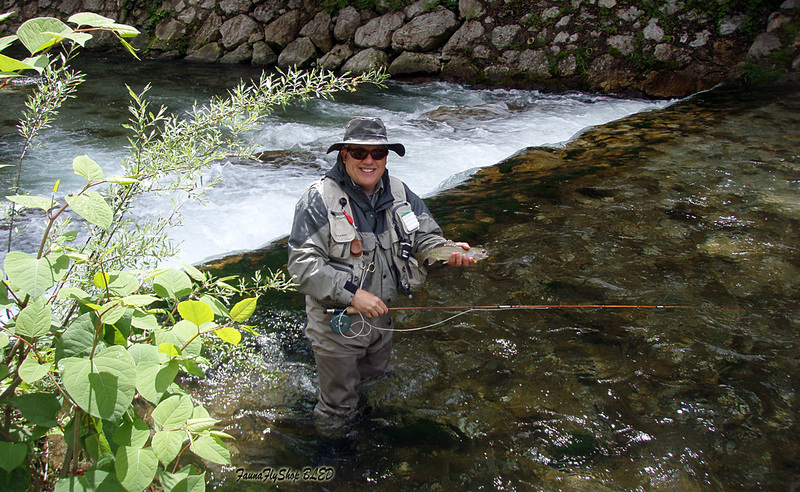 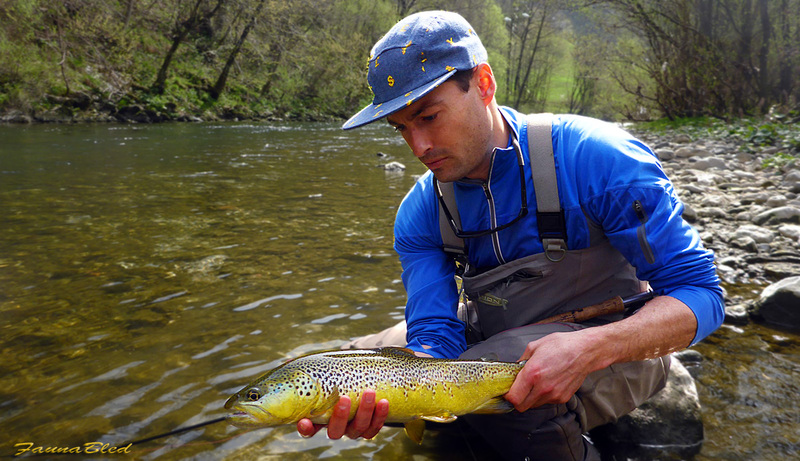 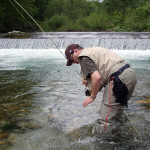 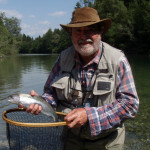 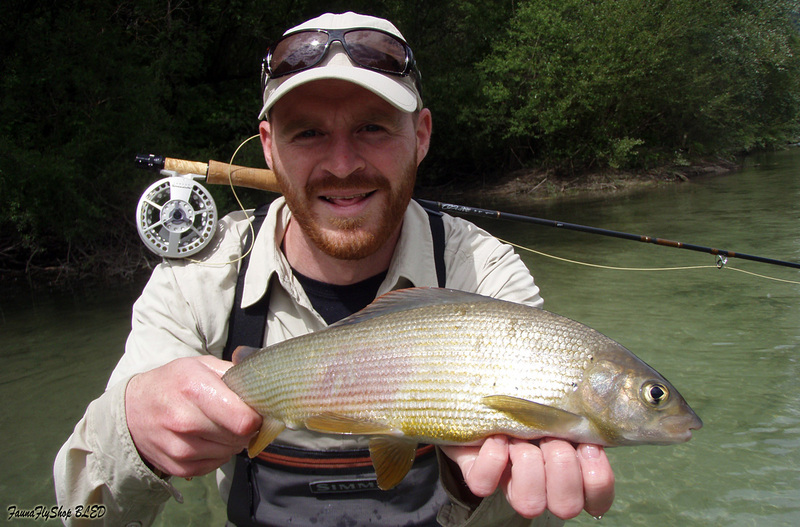 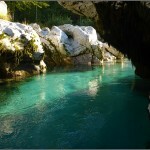 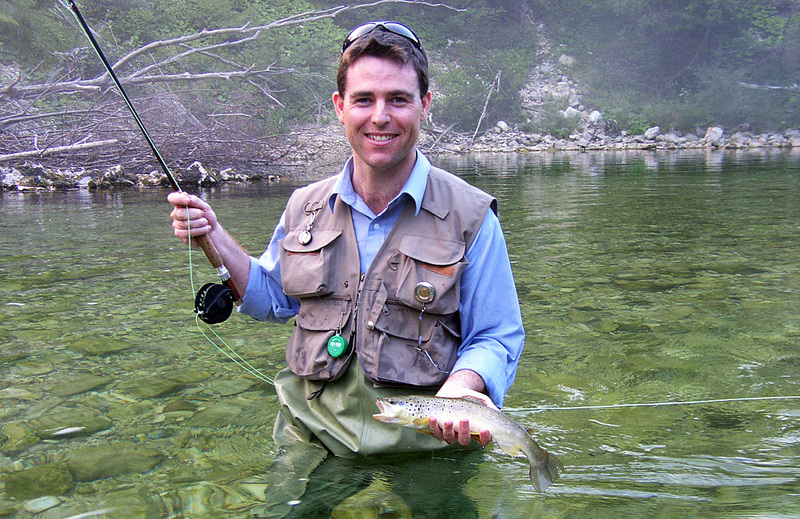 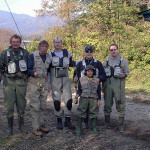 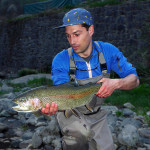 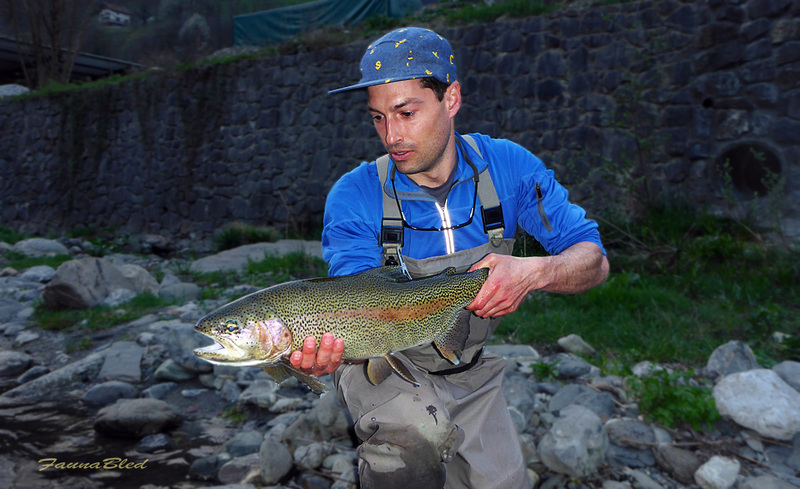 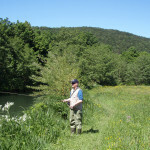 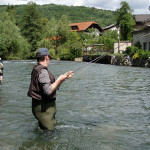 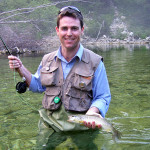 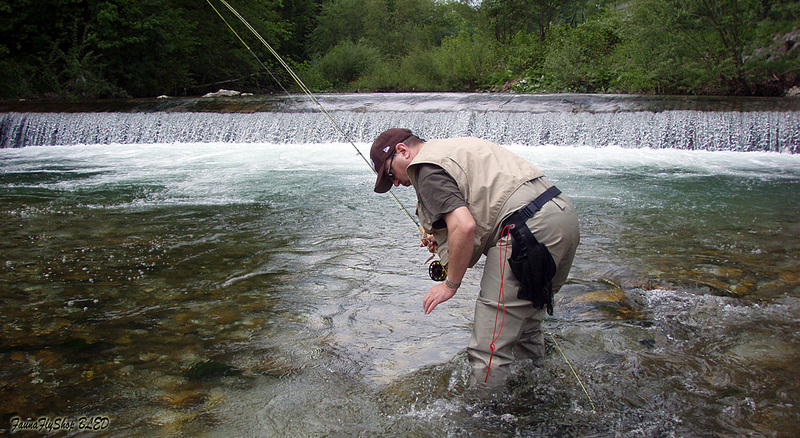 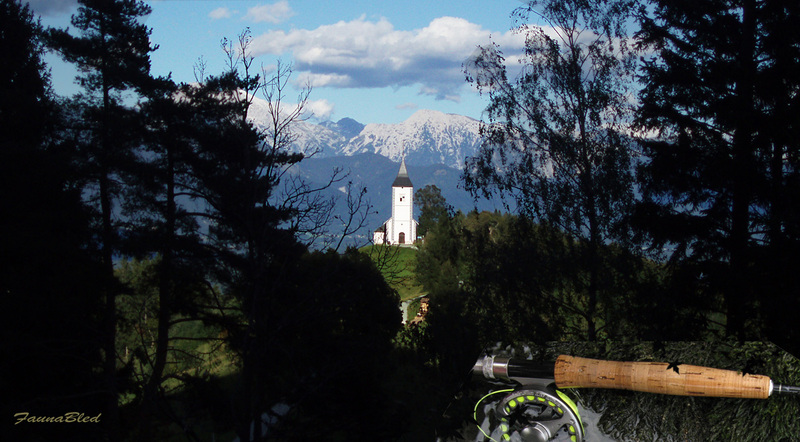 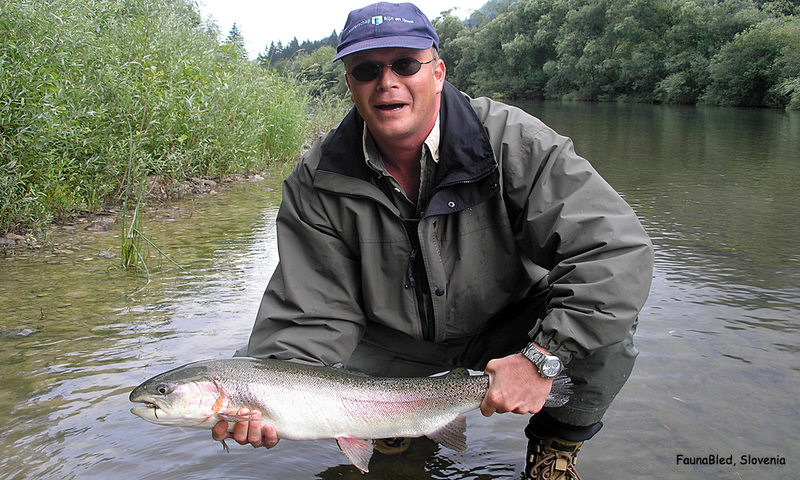 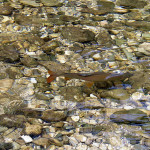 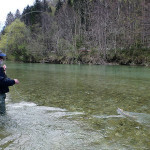 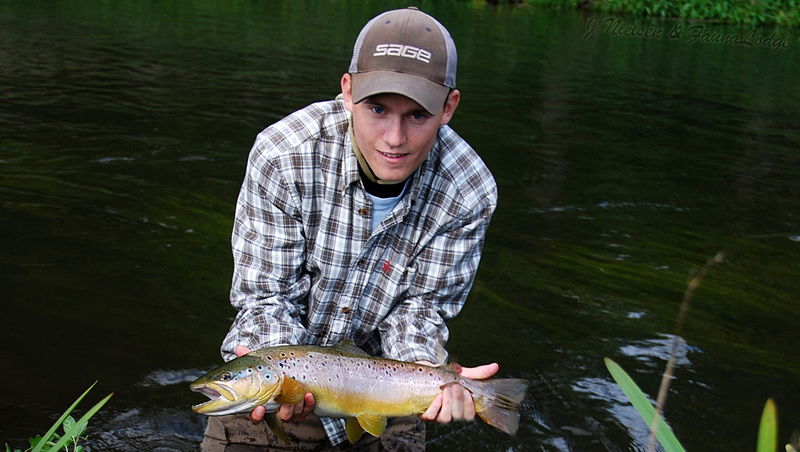 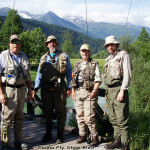 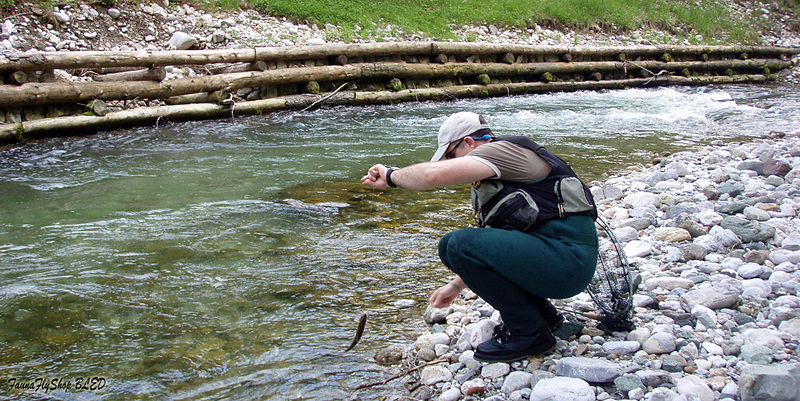 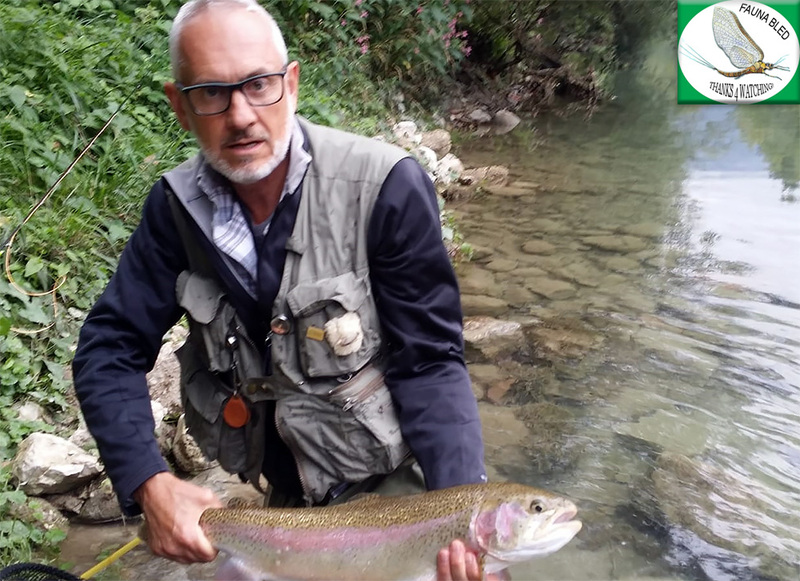 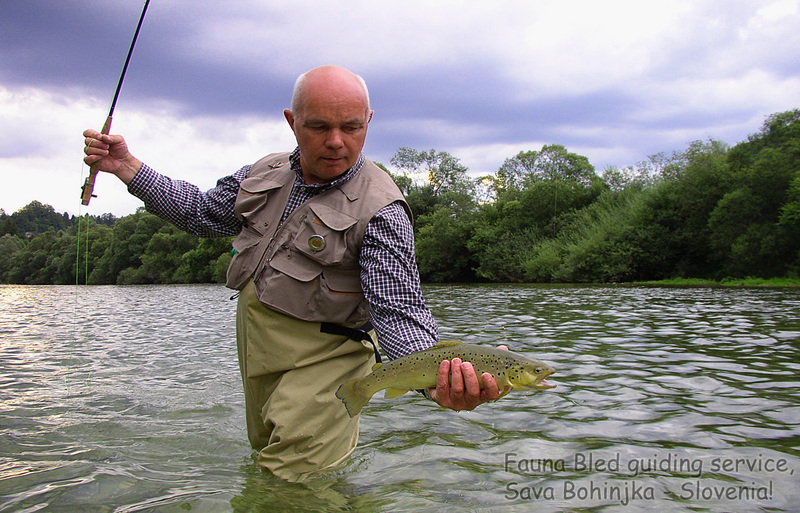 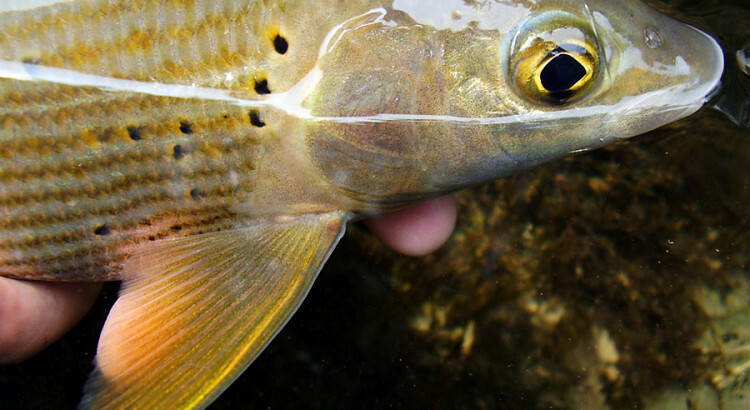 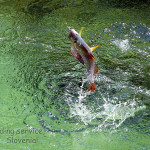 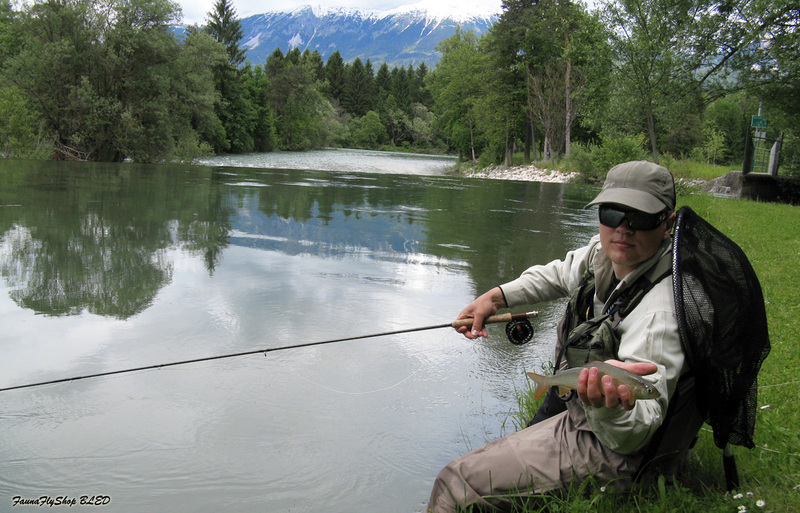 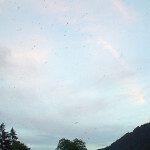 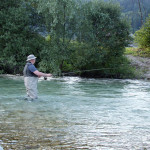 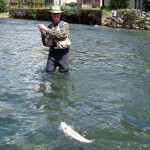 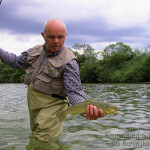 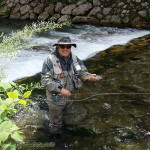 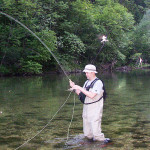 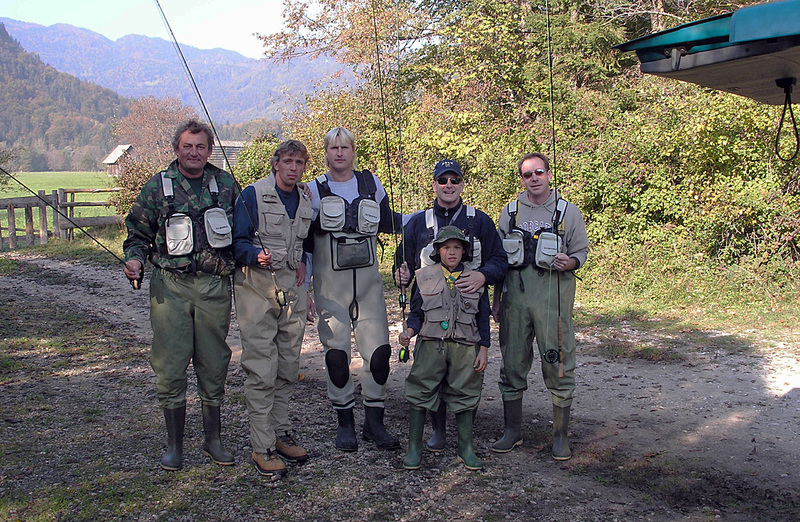 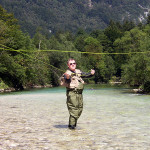 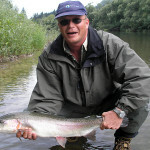 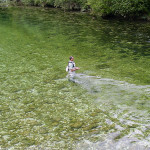 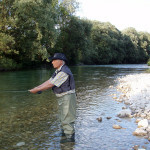 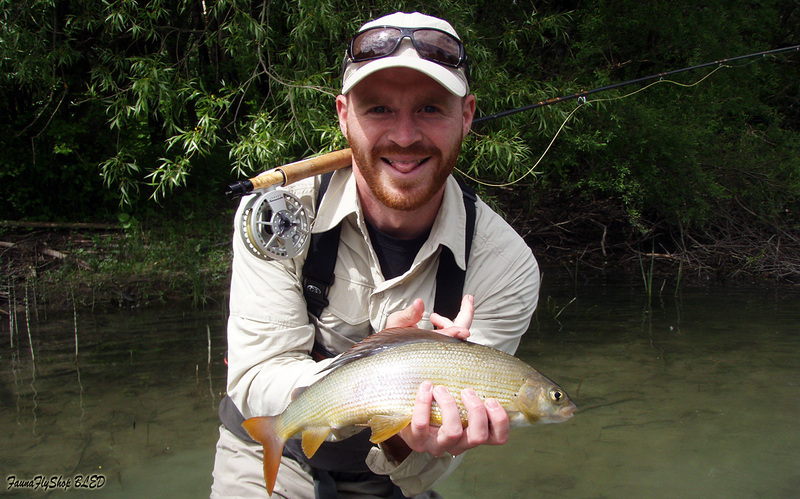 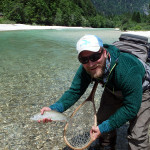 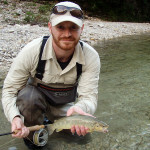 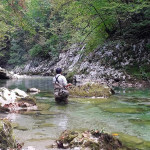 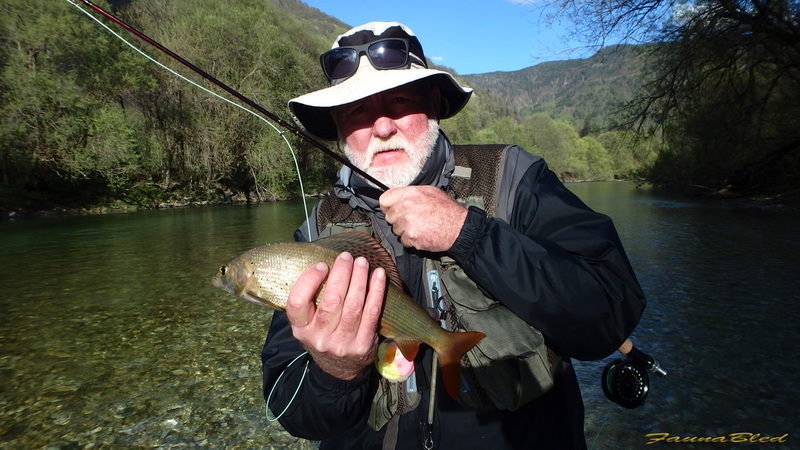 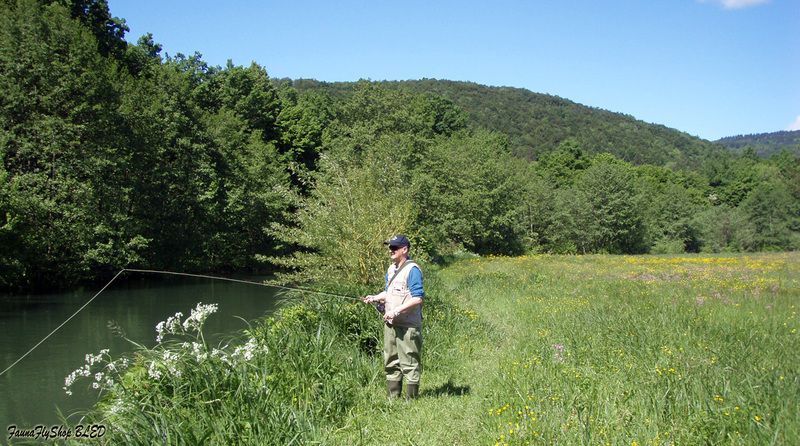 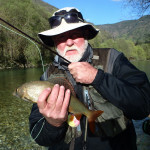 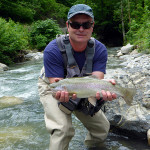 All pictures are the property of the Fauna Slovenia Fly Fishing Company. 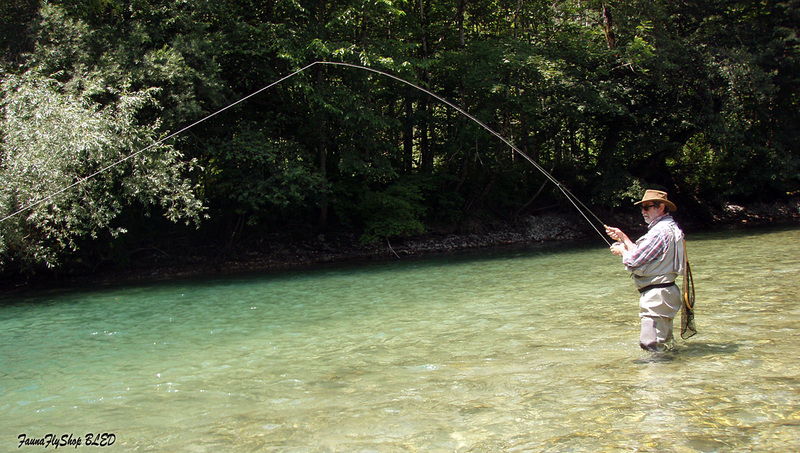 For private use only.